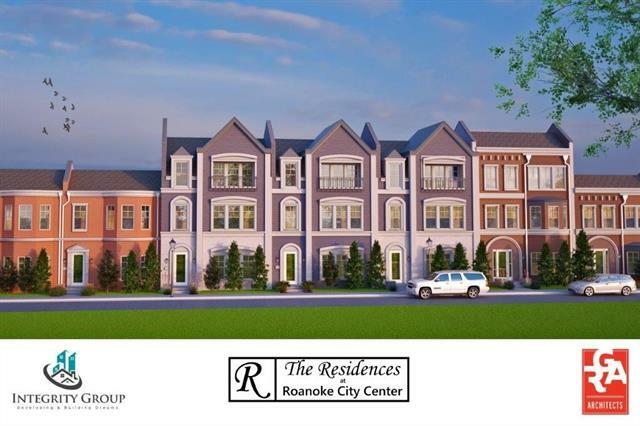 All Roanoke homes currently listed for sale in Roanoke as of 04/24/2019 are shown below. You can change the search criteria at any time by pressing the 'Change Search' button below. If you have any questions or you would like more information about any Roanoke homes for sale or other Roanoke real estate, please contact us and one of our knowledgeable Roanoke REALTORS® would be pleased to assist you. "Located in the ETJ . Value is in the Land and Horse Amenities. Property can become Commercial, Industrial, etc." "3320 SQ FT RANCH STYLE HOME ON 8 ACRES THAT CAN BE RESIDENTIAL OR COMMERCIAL. AG EXEMPT - 45X60 HORSE BARN --40X30 INSULATED SHOP --30X60 FEED ROOM -- MOBILE HOME STORAGE -- WELL HOUSE WITH 5000 GAL STORAGE TANK -- 27X14 STORAGE BUILDING -- BRING YOUR FAMILY, YOUR BUSINESS AND YOUR HORSES TO YOUR NEW HOME. Renovated recently with pool and patio. This property is in the ETJ and can have commercial buildings also." "This 3 story Livingston unit offers 4 bedrooms, 4.1 baths and 2819 sq ft of covered living space. Open floor plan and designer touches throughout. Unit can be customized to buyer's specifications. Floor plans available upon request. Option to add elevator and fireplace on this unit. Community pool and outdoor grill area. HOA includes all exterior landscaping, exterior maintenance, roof insurance & four wall insurance. Low maintenance lifestyle. Walking distance to all Oak St. entertainment, rest"
"HERE'S YOUR CHANCE! Just a block from all the dining, shopping, and entertaining of booming Historical Downtown Roanoke, this mixed-use commercial-residential property is an incredible opportunity! The gorgeous home boasts meticulous maintenance, tons of natural light, and charming architectural details throughout. You'll adore the huge master bedroom and elegant en suite - the perfect spot to retire at the end of the day. 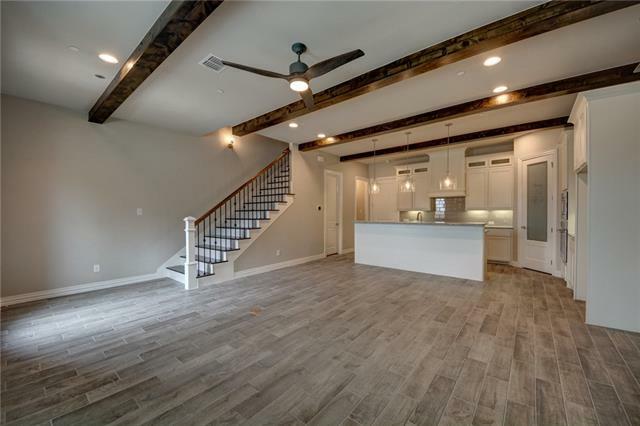 The open concept and back patio are perfect for entertaining or relaxing "
"Integrity Groups presents Roanoke's first Brownstone's. There will be 35 homes. They will be two and three-story homes. You have the option to add an elevator. There will be a pool and a grill area. See the attachments for HOA information, etc." "PERRY HOMES NEW CONSTRUCTION! Library with French doors and formal dining room at entry with a rotunda ceiling, both with hardwood floors. Open family room with hardwood floor features a wall of windows and wood mantel fireplace flows into kitchen and morning area. Kitchen features island with built-in seating space, a walk-in pantry and a Butler's pantry. Game room with double doors just off the morning area. Private master suite with a wall of windows. 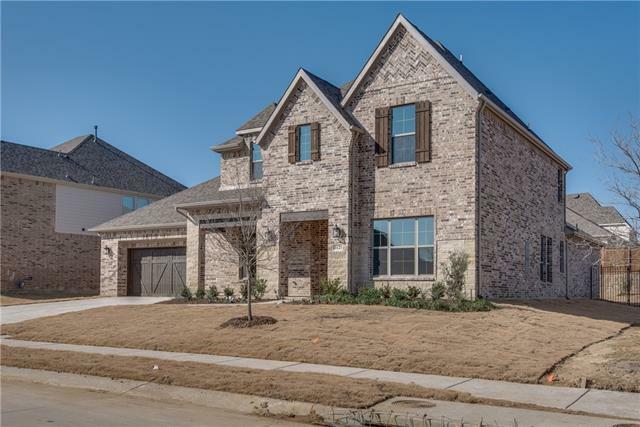 Garden tub, separate glass-enclosed showe"
"Gorgeous two story Drees Custom Homes Tanner plan with 4158 sq footage, 4 bedrooms, 4 half bath with 3 car tandem garage. Formal dining, breakfast nook, study, game room and media. All rooms in this home are oversized. 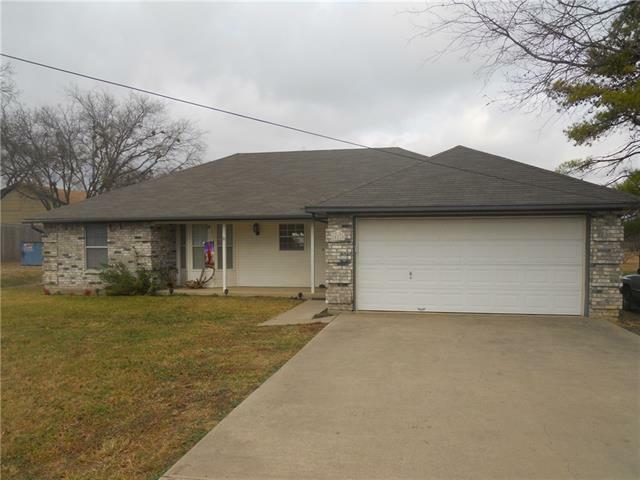 This home has it all...hardwood floors throughout and upgrades galore!" 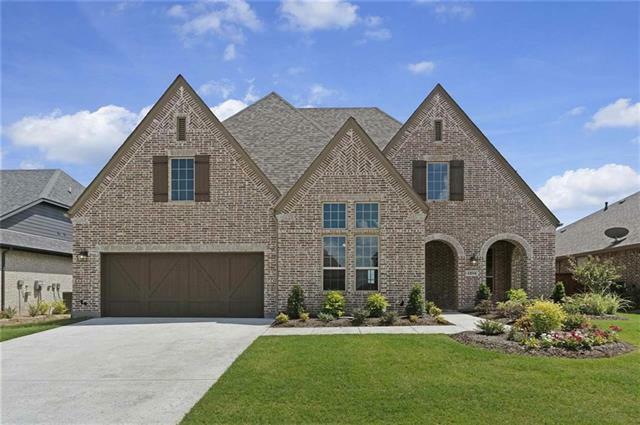 "MLS# 14069119 - Built by Highland Homes - August completion! ~ Incredible 2 story home! Downstairs offers 2 bedrooms and 2 full baths, large kitchen opens to family room and dining room! Enjoy a media room and powder bath upstairs along with two secondary bedrooms and Jack and Jill bath!" "PERRY HOMES NEW CONSTRUCTION! Library with French doors set at entry. Formal dining room with hardwood floor. Open family room with hardwood floor features a wall of windows, cast stone fireplace and flows into kitchen and morning area. Kitchen features island and walk-in pantry. Secluded master suite with curved wall of windows. Master bath includes corner garden tub, separate glass-enclosed shower, dual vanities and two deep walk-in closets. Game room with French doors. Mud room. Abundant clos"
"PERRY HOMES NEW CONSTRUCTION! Mahogany front door. Extended entry with 13-foot coffered ceiling. Library with French doors set at entry. Formal dining room with hardwood floor. Open family room with hardwood floor features a wall of windows and wood mantel fireplace. Kitchen with hardwood floor features island and walk-in pantry. Game room with French doors just off morning area. Spacious master bedroom with 12-foot ceiling. 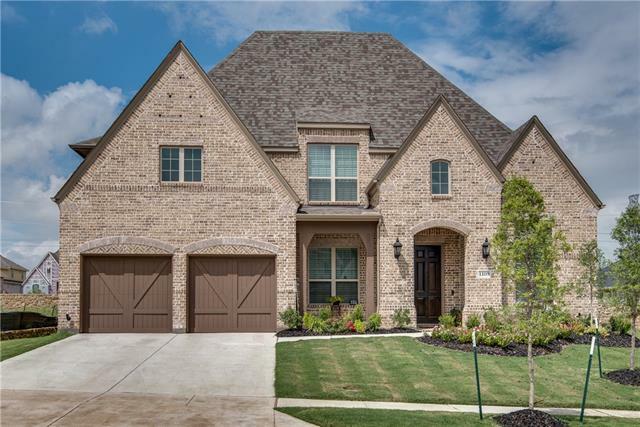 Master bath includes corner garden tub, separate glass-enclosed shower,"
"Grand 2 story Drees Custom home. 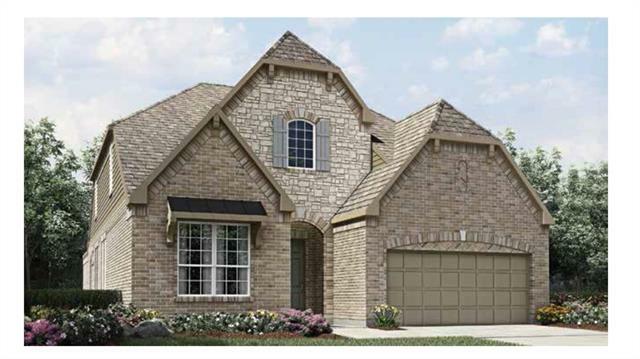 Same floor plan as the model with 4 bedrooms and 4 baths. 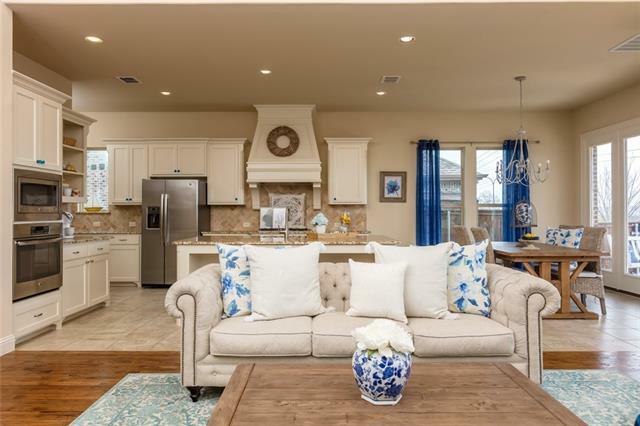 A very light and bright family room with a vaulted ceiling, and a beautifully decorated kitchen. 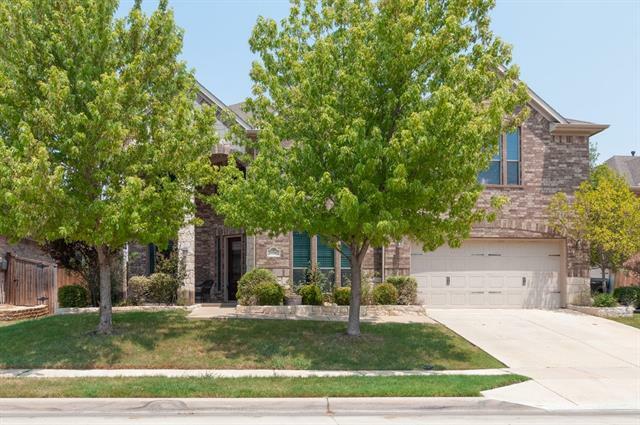 This home is loaded with upgrades, a large covered patio and a 3 car garage make it complete - this is a must see!" "Gorgeous Drees Custom Home on oversized lot with 100 feet of backyard! 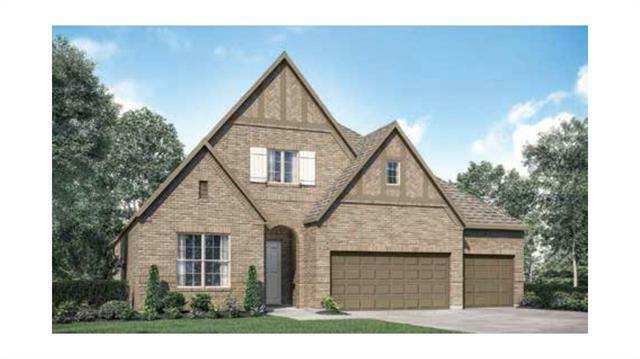 Beautiful Parkhill plan with 4 bedrooms, 4 baths and gameroom as well as 3 car garage! Vaulted ceilings with souring spacious family foyer. Laundry room with storage to spare! Many upgrades including hardwoods throughout and upgraded silestone countertops!" 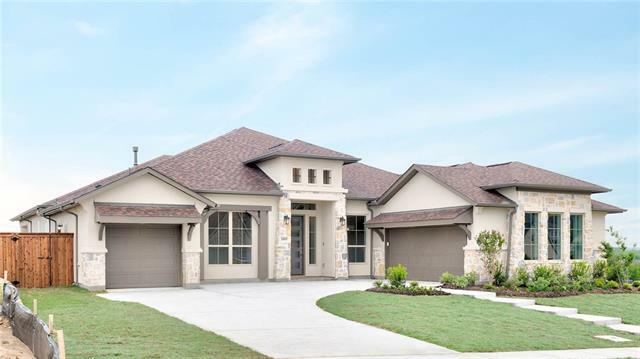 "PERRY HOMES NEW CONSTRUCTION! Mahogany front door. Library with French doors and dining room frame entry with 13-foot coffered ceiling. Family room with wall of windows and 14-foot ceiling. Kitchen features island, large walk-in pantry and Butler's pantry. Hardwood floors flow throughout. Game room with French doors just off the morning area. Spacious master suite. Corner garden tub, separate glass-enclosed shower, dual vanities and two walk-in closets in the master bath. Guest suite with full b"
"PERRY HOMES NEW CONSTRUCTION READY FOR MOVE-IN! Mahogany front door. Extended entry with 14-foot coffered ceiling. Formal dining room. Library with French doors set at the entry. Family room with 12-foot ceiling. Morning area opens to game room with French doors. Ceramic tile floors flow throughout. Kitchen features island and walk-in pantry. Secluded master suite with curved wall of windows. Garden tub, separate glass-enclosed shower, dual vanities and two walk-in closets in master bath. 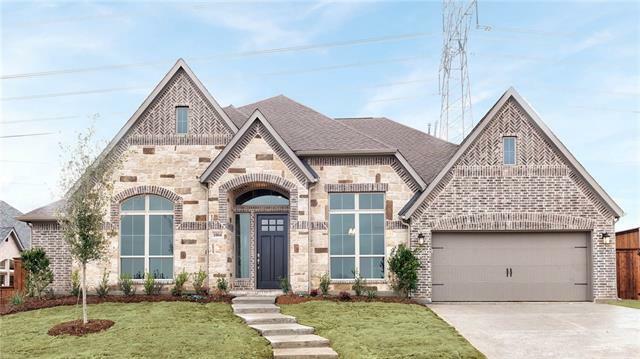 Mud ro"
"This beautiful Drees Custom Homes 2 story has 3 bedrooms on the 1st floor and 1 upstairs and 4 full baths! The kitchen has handcrafted custom cabinetry, lovely tile work and fantastic Silestone countertops. A vaulted ceiling in the family room adds to the warmth of the downstairs and check out the oversized patio! A 3 car garage makes this home very desirable." 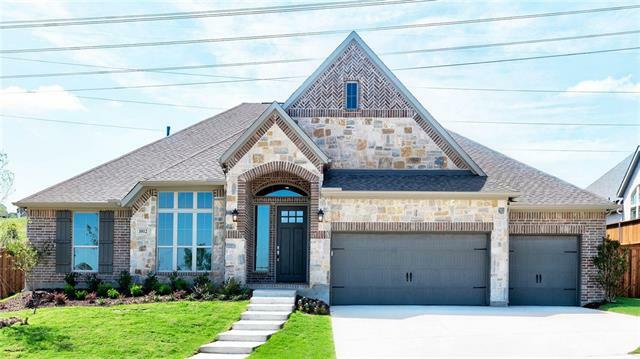 "PERRY HOMES NEW CONSTRUCTION READY FOR MOVE IN! Mahogany front door. Extended entry with a 12-foot ceiling. Formal dining room and library with French doors, both with ceramic tile floors. Open family room with ceramic tile floor features a wood mantel fireplace. Kitchen features island and a walk-in pantry. Spacious master suite with a wall of windows. Master bath includes garden tub, separate glass-enclosed shower, two vanities and two walk-in closets. 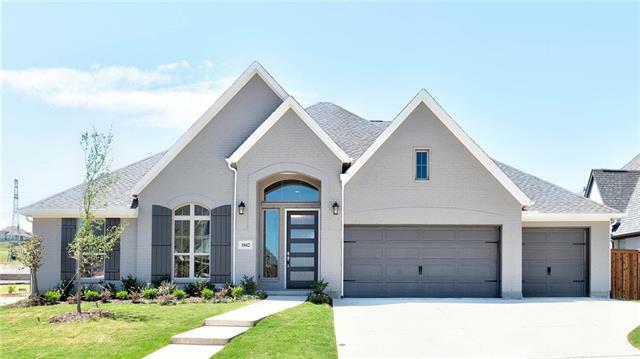 Guest bedroom with full bath and walk-in "
"This amazing Drees Custom Homes 2 story with all the bells and whistles that you would expect in a custom home. Hardwood floors, custom cabinets, and a vaulted ceiling in the family room. The game room and media upstairs will offer hours of entertainment for the whole family. All this plus a 3 car garage!" "Better than NEW. 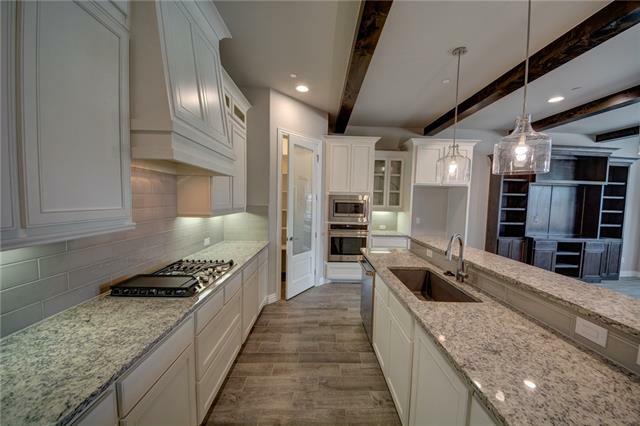 One year old Highland Home loaded with incredible upgrades. Floor plan includes two bedrooms on the ground floor. Extensive hand-scraped hardwood floors downstairs, Designer kitchen with custom cabinetry, farm sink, upgraded counter tops. Over-sized master suite is complete with luxury bath, shower and massive walk in closet. The upstairs includes spacious media room and game room plus 2 more bedrooms. Large covered back patio with gas connection for your outdoor kitchen plans." 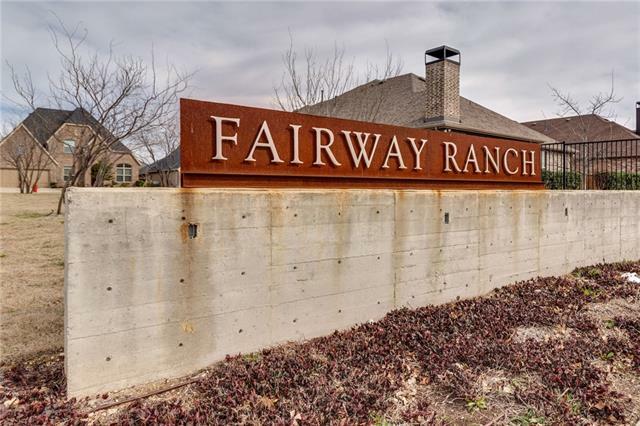 "This is your chance to own one of Darling s unique Premier Builds in the Fairway Ranch development only 3 homes built with this floorplan. The kitchen offers SS appliances, gas cooktop, eat-in island and breakfast room. Living room overlooks the backyard with extended patio and custom pergola, great for entertaining. Master suite, study and 1 bedroom are downstairs, 2 bedrooms and the game room are upstairs creating a great space for the kids. The master suite includes a sitting area"
"Upgraded Darling Custom Home in highly sought-after Fairway Ranch neighborhood. 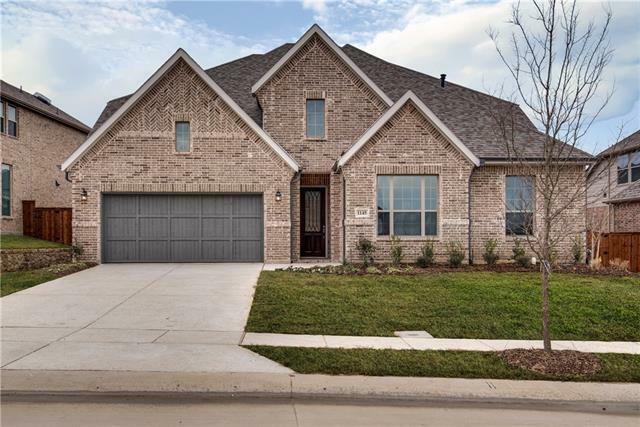 Gorgeous hardwood floors draw you into the open floor plan boasting a large upgraded kitchen with 5 burner gas cook-top and custom wood vent hood. The large master suite has a luxury bathroom. A separate guest room and bath complete the bottom floor. The upstairs includes an expansive game room along with two bedrooms and a bathroom making the second floor great for kids or guest rooms. 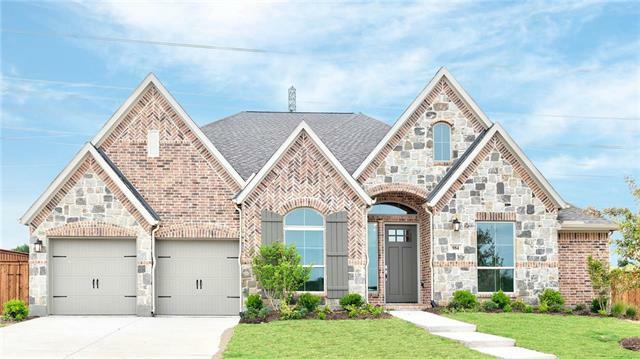 Enjoy your covered back patio "
"Executive 2-story, 4205 sq ft with 4 Bedrms, 4.5 Baths & 5 Living Areas that includes a Large Media Room with wet bar, Living Room, Study, Family Room & a Music-Flex Room. Cul-de-sac street. This home is for the family wanting a spacious home & a fabulous Backyard Oasis to enjoy entertaining large groups of family & friends. Lg Pool, with Outdoor Kitchen includes Egg Bar-B-Q grill, separate Fire Pit & spacious eating areas. 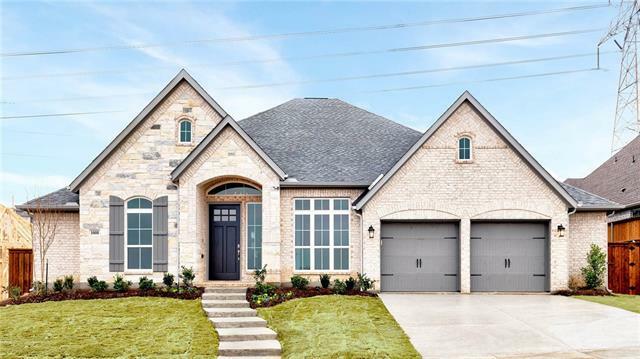 Home features many upgrades: Exquisite wood-finish cabinets, open gran"
"A charming 3-2-2 with split bedrooms, covered patio and an old Pecan tree out back. The storage building is perfect for all your toys. Rare home in Old Town Roanoke on over a half an acre. The expansive backyard gives you a country feel, and just a few minutes walk from all the great restaurants, shopping, and the new City Center under development - to include the Peabody Hotel and a new live music venue." 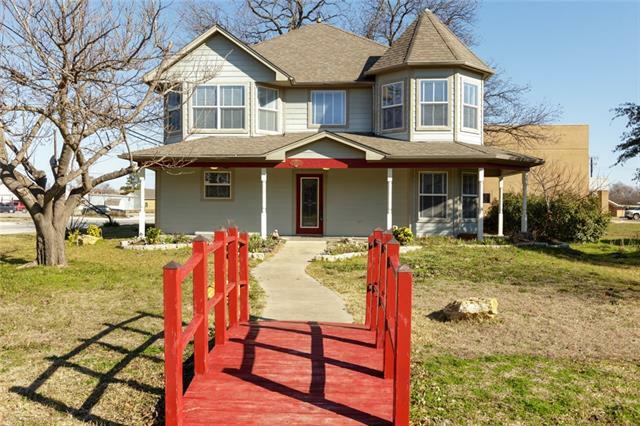 "This 2 story Madison unit offers 3 bedrooms, 3 baths and 1821 sq ft of covered living space. Open floor plan and designer touches throughout. Unit can be customized to buyer's specifications. Floor plans available upon request. Option to add elevator and fireplace on this unit. Community pool and outdoor grill area. HOA includes all exterior landscaping, exterior maintenance, roof insurance & four wall insurance. Low maintenance lifestyle. Walking distance to all Oak St. entertainment, restauran"
"Exquisite 4 bed, 3.5 bath home with tons of space to entertain! Open entry with soaring ceilings, grand staircase & extensive hardwood floors on lower level, including kitchen, study & master. The kitchen is a chef's dream with gorgeous white cabinets, beautiful granite, large island & new SS microwave, oven & dishwasher! Cozy built-in bench in breakfast room! 2 story living room with beautiful stacked stone fireplace. Escape to your master retreat with double vanities, separate shower and corne"